Neater Heat Central Heating And Plumbing Services was formed in 2011 by two ex military royal engineers. Our aim is to provide an honest and professional service to domestic households in a tough economic climate. Living up to our name we are well known for our neat and precise installations and our neat and tidy work manner. All Neater Heat engineers are gas safe registered, fully qualified and have a exceptional knowledge in gas central heating and general plumbing. We aim to visit you the same day. Whenever your boiler breaks down, it’s never a good time. We recognise that it’s important to solve your problem quickly, efficiently, and above all cost effectively. Whether it’s an on-going developing fault on your gas boiler, or an emergency call out, our boiler repair team is here to help. With a fixed price of £50 for the first half hour. Call now on 0777 900 30 20. All central heating installations carried out by our own Gas Safe Registered engineers. We only install energy efficient A rated boilers and Leading central heating brands – Baxi, Johnson & Starley, Ideal, Worcester Bosch and Potterton. We only ever install the right heating solution for you, your home and your budget. 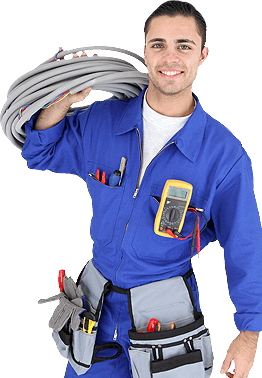 With our network of friendly, professional engineers, you can trust us to get the job done quickly and efficiently – so you can get a money-saving new system with the absolute minimum of disruption. To arrange a boiler service call us now on 0777 900 30 20. -All boiler servicing carried out by Gas Safe Registered engineers. -Boiler servicing improves the safety and efficiency of your boiler. -Could help spot problems before they become expensive to repair. Having your boiler serviced annually is essential to keeping your central heating running safely and efficiently. Not only does regular boiler servicing improve the safety of your boiler, it can also save you around £60 every year on your heating bills in increased efficiency*. A regularly serviced boiler is safer, more efficient, and less likely to let you down. When we visit your home, our engineers will discuss your individual requirements and find out what’s important to you and your family. They will explain all about the boiler types available; the differences between them and the pros and cons of each. Our engineer will also recommend improvements and enhancements that could be made now to give you the best heating efficiency possible from your current system. Copyright © Neater Heat Ltd 2016.